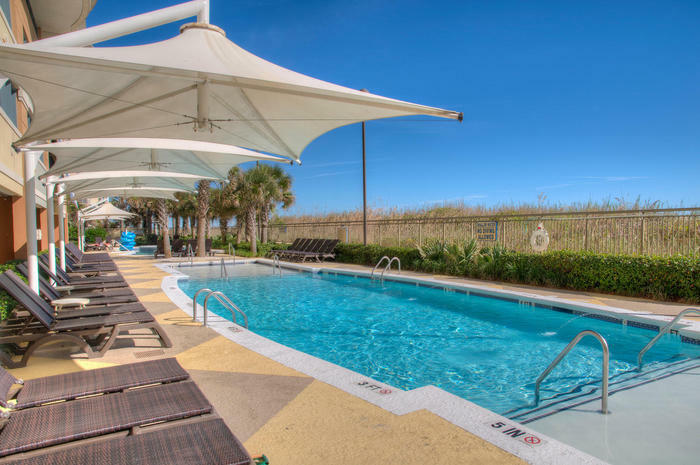 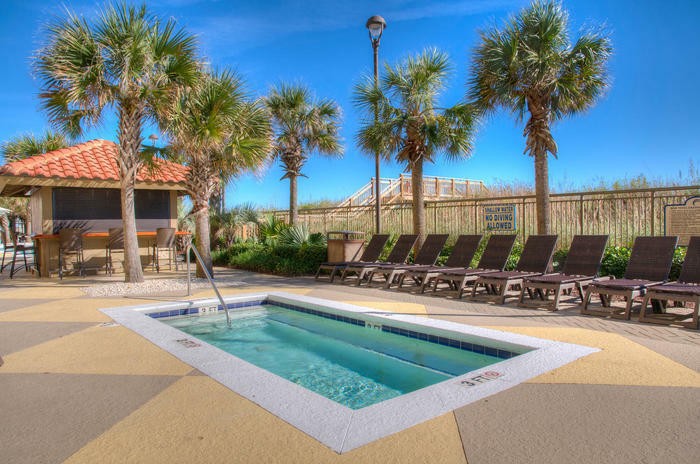 If your daydreams include fantasies of sitting in your swimsuit on the beach in a lounge chair, with a refreshing drink in your hand, look no further than the Mar Vista Grande, an oceanfront resort located in beautiful North Myrtle Beach, South Carolina. 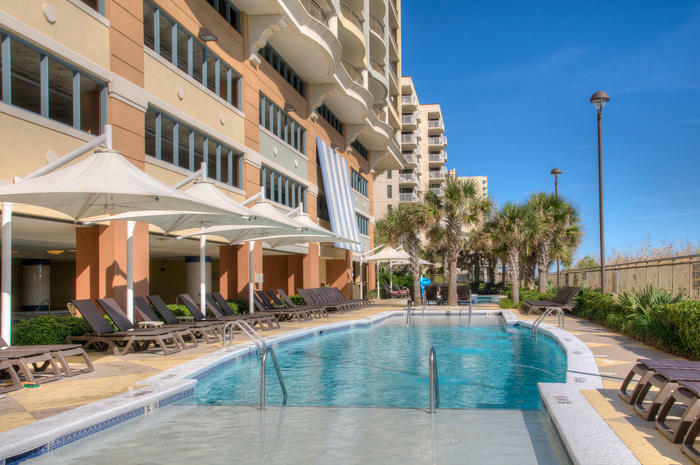 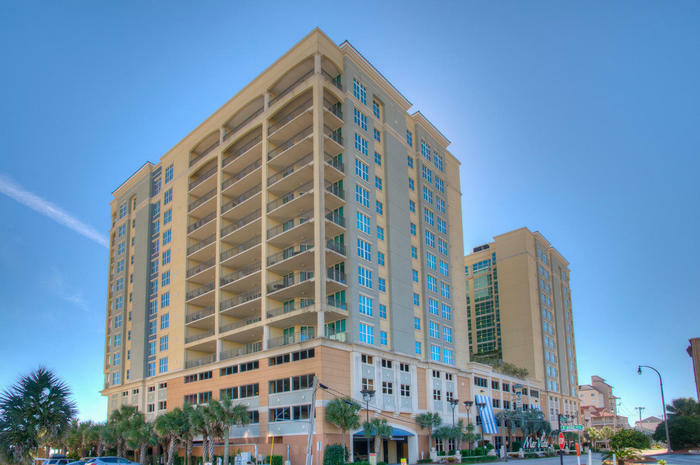 Situated in the fun Ocean Drive section of North Myrtle Beach, Mar Vista Grande is the oceanfront resort of your dreams. 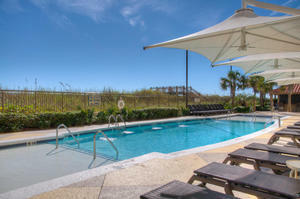 Each condo rental features three or four bedrooms, easily accommodating groups of families or friends. 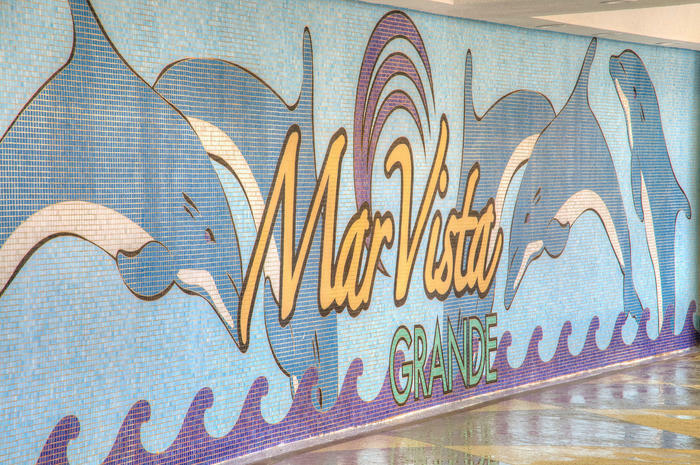 All of the vacation rentals at Mar Vista Grande feature kitchens with the works, including full-sized appliances. 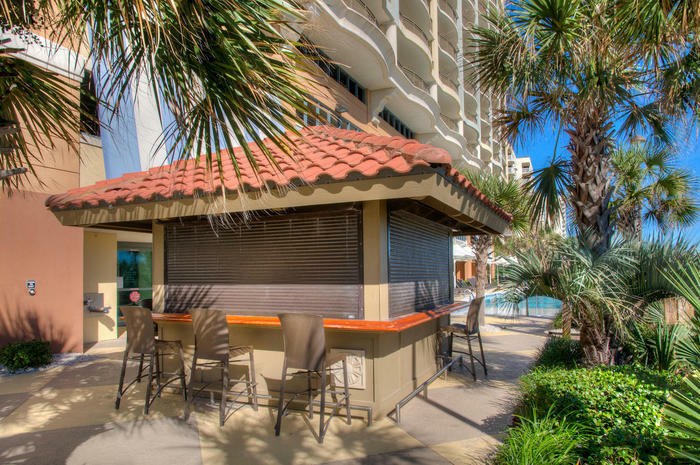 Cooking on vacation is always more fun, giving you time to bond with friends and family, not to mention the money you will save by not eating out every meal. 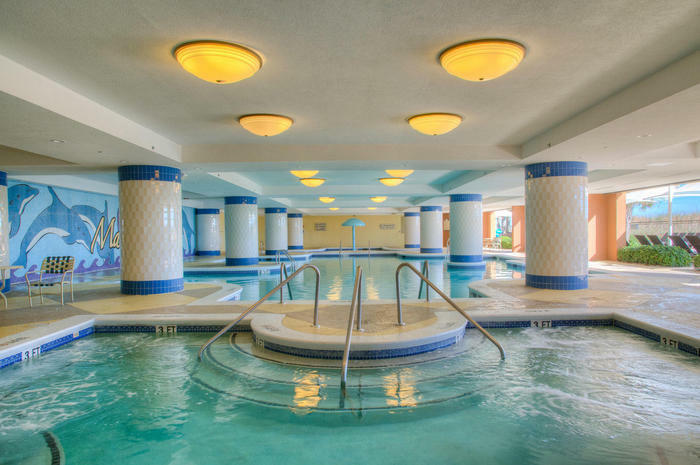 Still, if you need a break from cooking, no worries and certainly no shame. 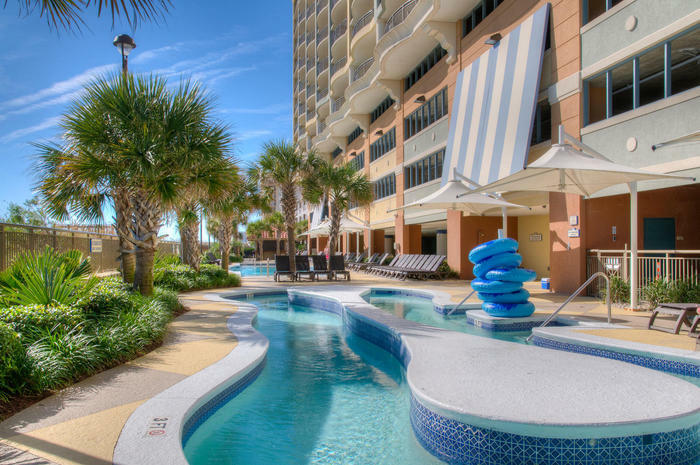 The Mar Vista Grande resort is within easy reach of more than 1,000 restaurants found in the North Myrtle Beach, South Carolina, area. 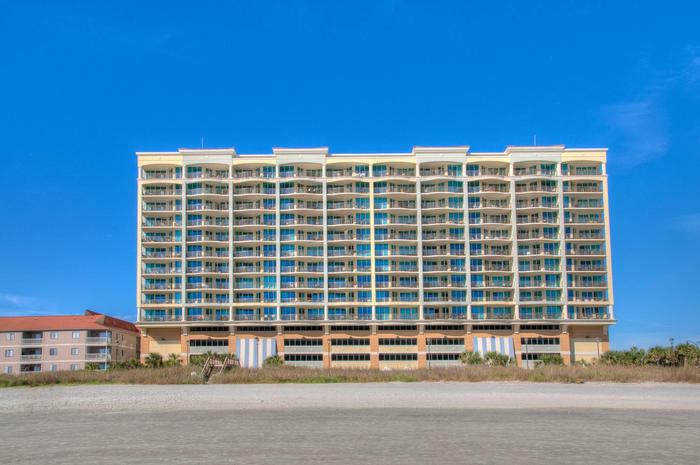 Each of the condo rentals at this beautiful oceanfront resort spills out onto a balcony. 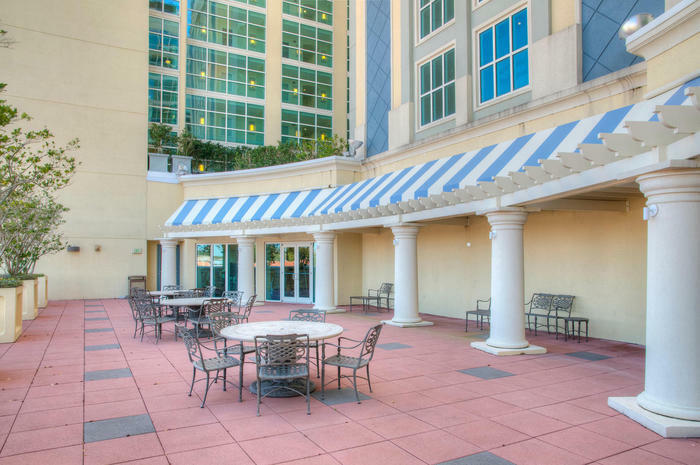 This luxurious spot of outdoor space gives you stellar views and a chance to soak in the South Carolina sunshine that makes North Myrtle Beach so famous. 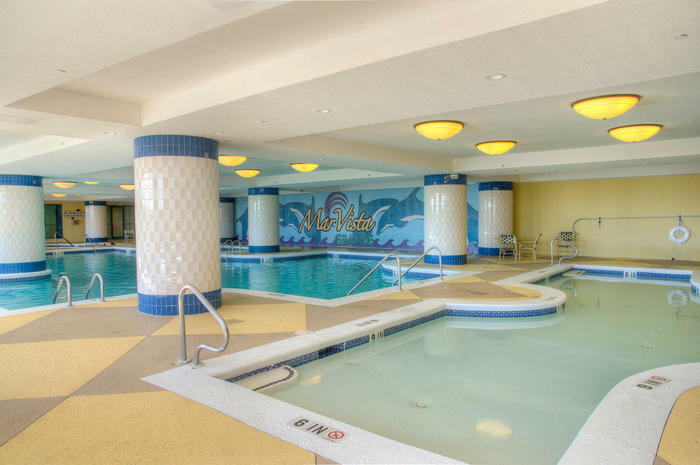 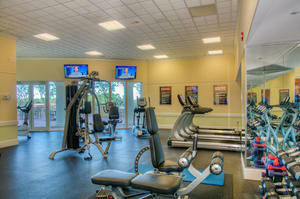 The amenities offered by the Mar Vista Grande resort are no doubt worth the stay. 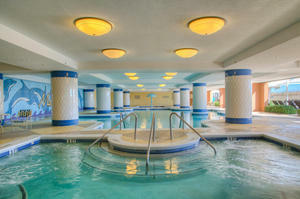 A hot tub and spa offer open invitations for some serious relaxation. 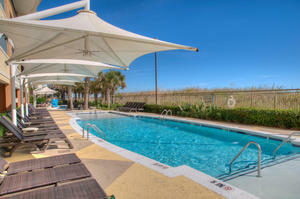 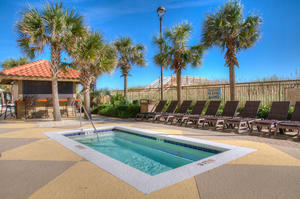 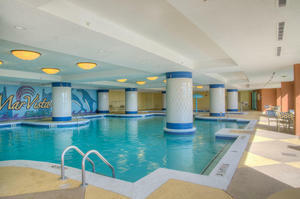 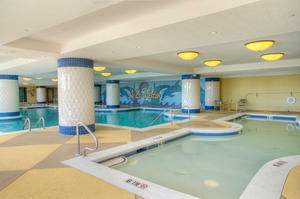 Swim the indoor pool or meander to the outdoor pool on the oceanfront. 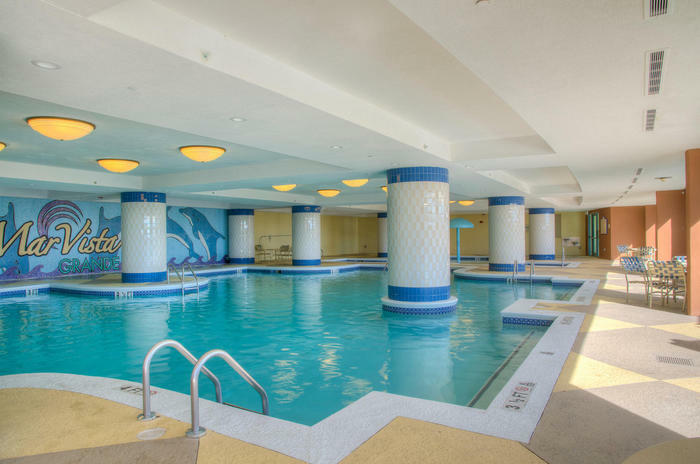 And who turns down the chance to drift down a lazy river? 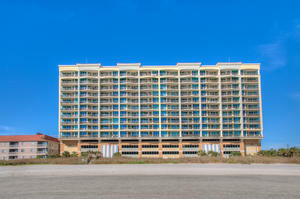 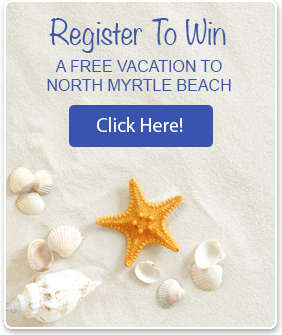 The North Myrtle Beach, South Carolina, area is simply dripping with fun activities to explore. 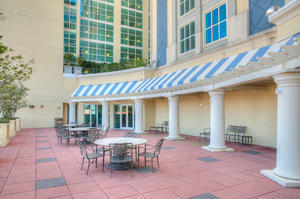 The golfing is amazing, the shopping exciting, the dining tastily unique, and live entertainment is bursting with energy. By staying at the Mar Vista Grande, you choose an oceanfront resort that delivers.